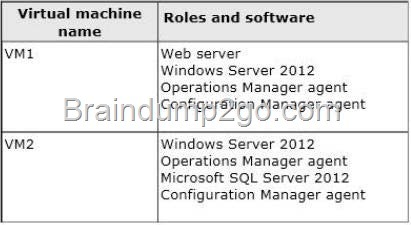 Machine Manager (VMM), and a third standalone WSUS server. Your network contains a data center named DataCenter1 that contains multiple servers. The servers are configured as Hyper-V hosts. Your company deploys a disaster recovery site. The disaster recovery site has a dedicated connection to DataCenter1. 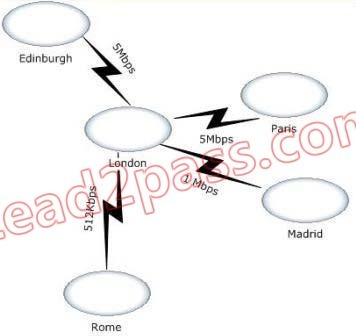 The network is connected to the disaster recovery site by using a dedicated link. DataCenter1 contains 10 business critical virtual machines that run a line-of-business application named Appl. You need to recommend a business continuity solution to ensure that users can connect to App1 within two hours if DataCenter1 fails. What should you include in the recommendation? B. 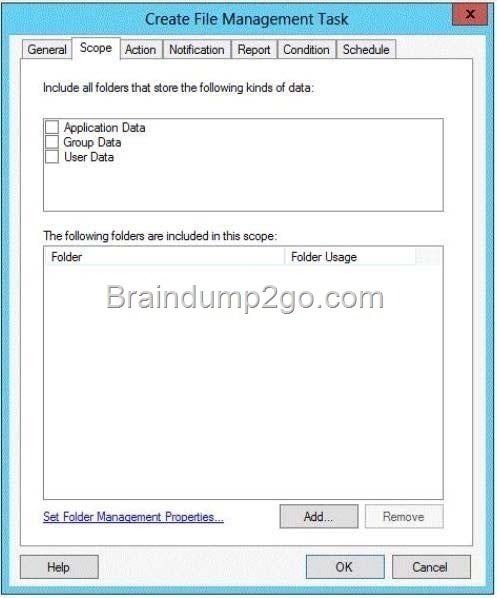 Add 5erver3 as a file share witness for Cluster1. 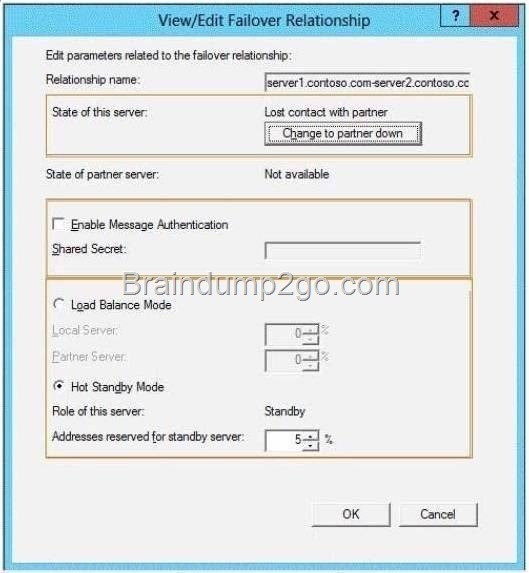 Your network contains two servers named Server1 and Server2 that run Windows Server 2012. 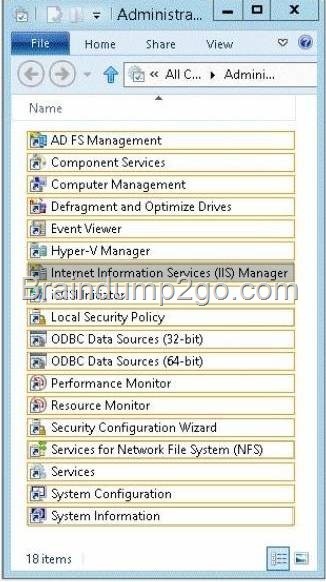 Server1 has the iSCSI Target Server role service installed and is configured to have five iSCSI virtual disks. 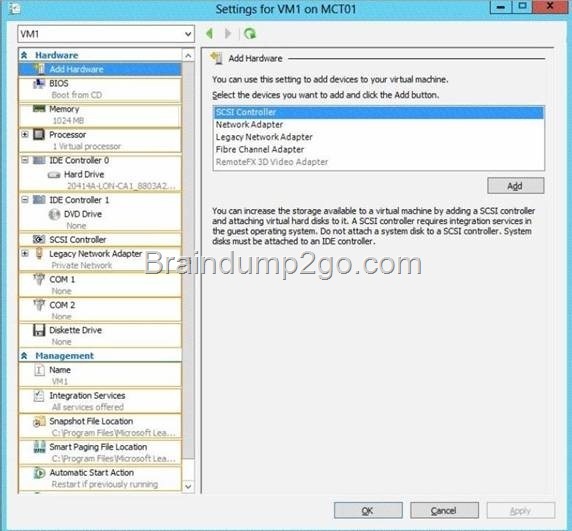 You install the Multipath I/O (MPIO) feature on Server2. 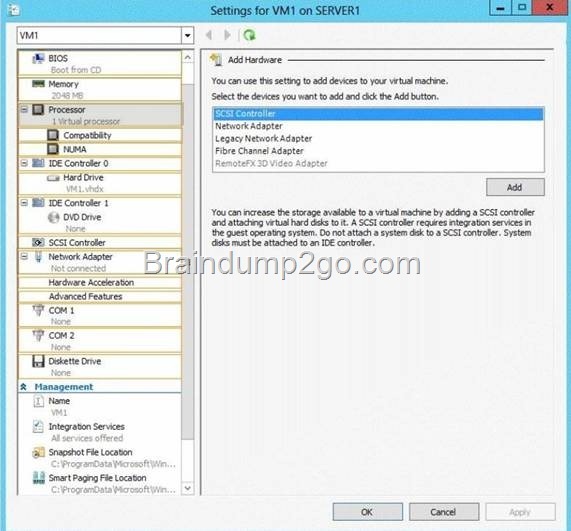 From the MPIO snap-in, you add support for iSCSI devices. You need to ensure that Server2 can connect to the five iSCSI disks. 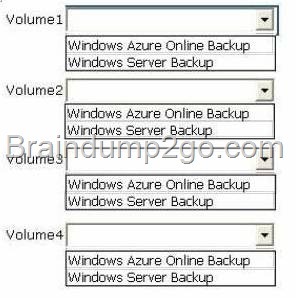 The solution must ensure that Server2 uses MPIO to access the disks. Which three actions should you perform? 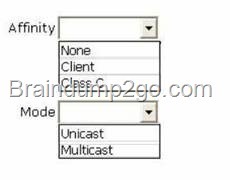 * One DHCP server that has a single scope for its respective office Each office has a single subnet. 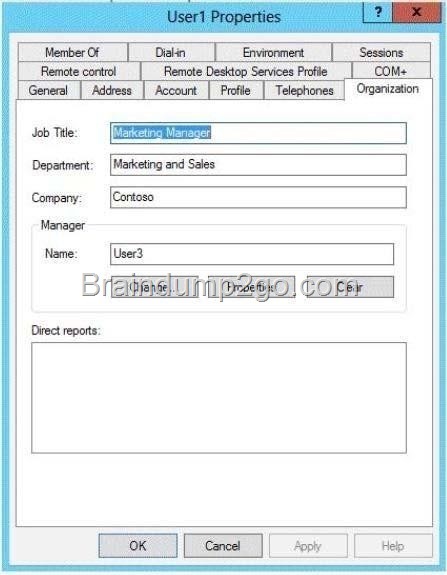 * Replace all of the domain controllers with new servers that run Windows Server 2012.
be deployed in the future. * Implement Microsoft System Center 2012 to manage the new environment. * Minimize hardware costs and software costs whenever possible. * Minimize the amount of network traffic over the VPN whenever possible. * Ensure that the users in the branch offices can access files currently on the main office file server if a Internet link fails. * Provide a highly available DHCP solution. * Maintain a central database that contains the security events from all of the servers.The database must be encrypted. 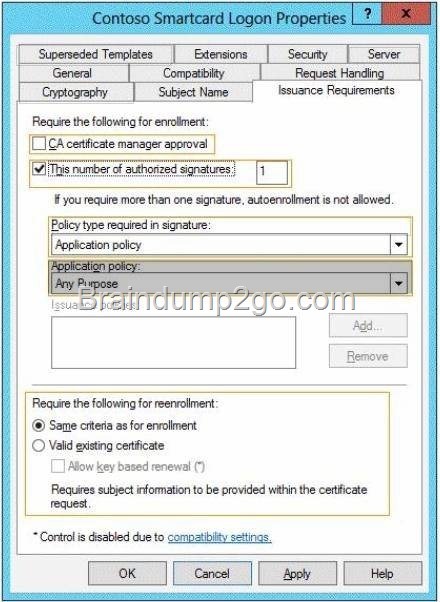 * Ensure that an administrator in the main office can manage the approval of Windows updates and updates to third-party applications for all of the users. 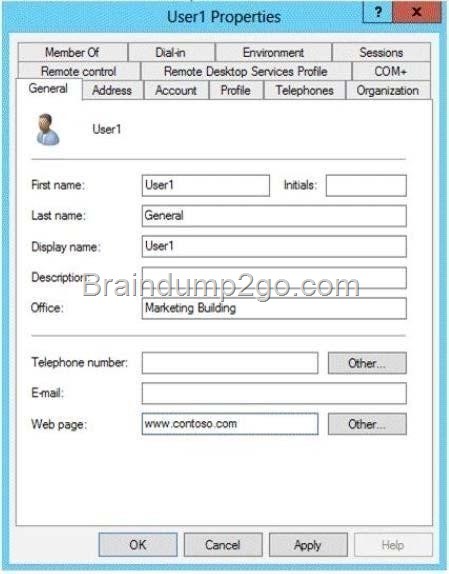 * Minimize the number of permissions and privileges assigned to users. 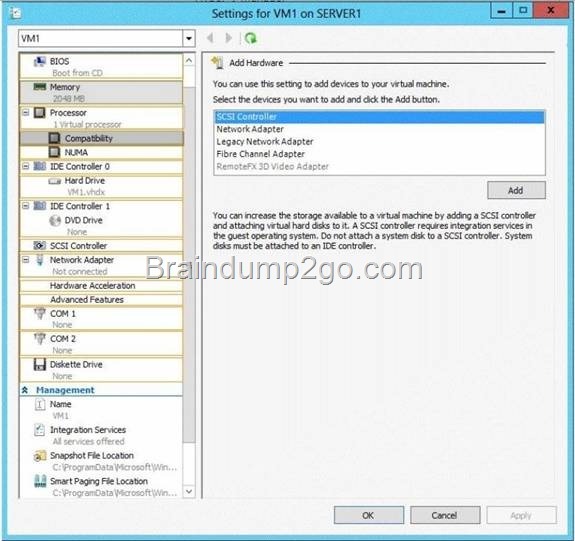 * Ensure that the members of a group named Group2 can add a WSUS server to the fabric. 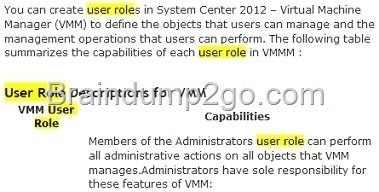 * Ensure that a diagram view of the virtualization environment can be generated dynamically. * Minimize the amount of administrative effort required to manage the virtualization environment. * Prevent the failure of a front-end web server from affecting the availability of the CRM application. 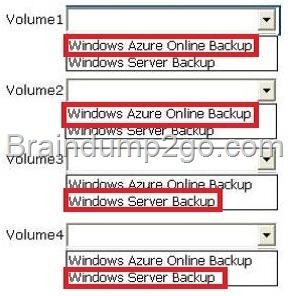 * Ensure that the members of a group named Group1 can create new virtual machines in the Los Angeles office only. 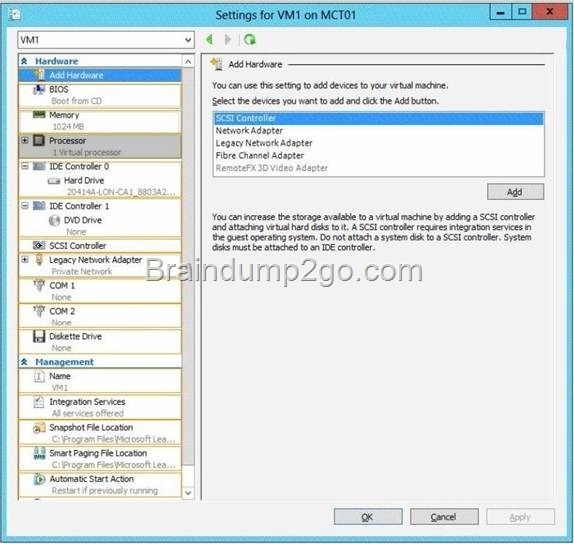 * Only create virtual machine templates by using objects that already exist in the System Center 2012 Virtual Machine Manager (VMM) library.